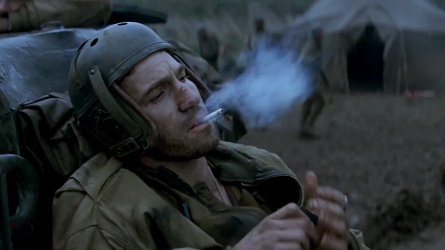 “Fury” film was really shot on film. 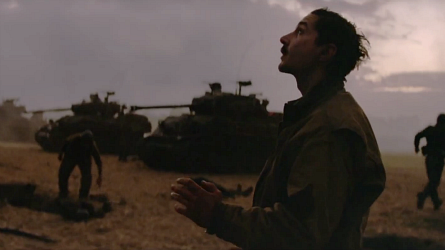 Editor Dody Dorn said it was shot on 35mm film with an anamorphic lens. This was quite evident, aside from the look of the movie, when at the particular screening where the Q&A took place, the beginning of the film showing there was clearly a large scratch in the film at the bottom. The movie was shot in England for five months and the cast and crew worked through holidays and hiatus. 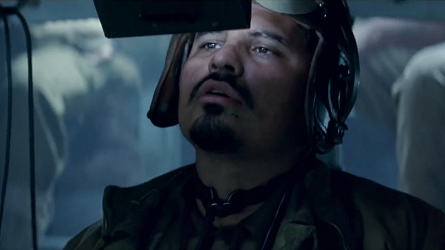 “Fury” is the name of the Sherman Tank in which the cast of characters – Boyd ‘Bible Swan (Shia LaBeouf), Trini ‘Gordo’ Garcia (Michael Peña), Grady (Jon Bernthal), Norman Ellison (Logan Lerman), fought the Germans in during a short period of time in April 1945 lead by Don ‘Wardaddy’ Collier, portrayed by Brad Pitt. The newly, and youngest soldier of the team, Norman, freshly transferred from a comfy office where his job was typing 60 wpm, was thrown into the crucial job of driving and firing from the tank as an “assistant driver”. 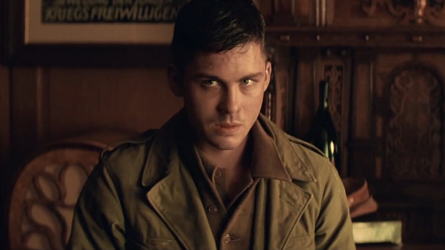 The film shows the innocence and naivety of Norman being sculpted into a tough, ruthless, soldier after experiencing love and loss, as well as immoral acts from the Germans in such a small amount of time. Soon, their fate becomes sealed due to restrictions from Fury that are beyond their control. The result so impressive that the battle, fatal for most of the crew, could be considered a victorious one. 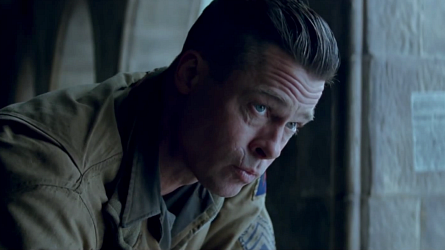 “Fury” is a wonderful survival story, as well as a very human story. Sound designer, Paul Ottosson, has worked on some dark films including “Zero Dark Thirty” and “The Hurt Locker” both of which he won Oscars for. But, most people will never guess which film, along with Fury, currently playing in theaters that also displays his work – “Penguins of Madagascar.” Ottosson said it is the first movie that he could actually take his child to go see, and she joined him at the movie’s premiere. 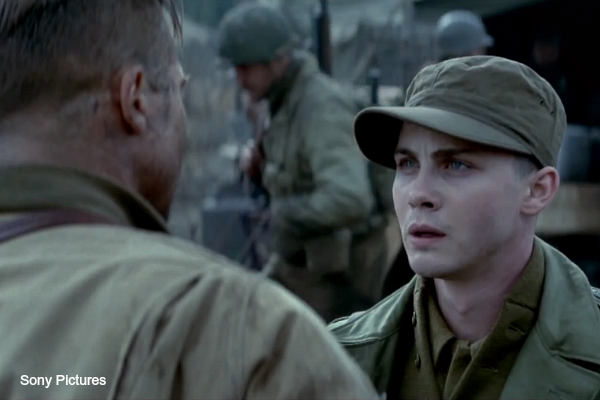 Lerman confirmed Dorn’s comment by telling the movie audience that preparation for the role included visiting real forts, talking to World War II veterans, and fighting every day (with Brad Pitt) physically. Ottossson said that during the scenes where the actors slap each other, “every hit you hear in the movie is real”. They also fired real fire. Lerman said he “fought for the role” of Norman. There were a lot of other young male actors in the running. He said he stayed in contact with Director Ayer after his audition, and would randomly run-in to him, as well as phoning him. A bit of stalking going on there! The tactics proved to work for the actor. 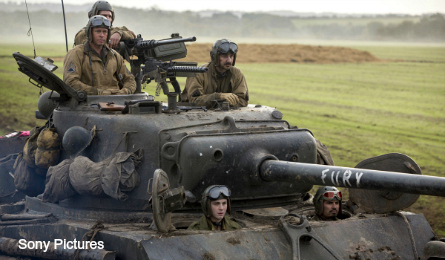 “Fury” is currently playing in movie theaters.